SecureFit 400 protective eye wear is ideal for hunting/shooting sports done in different indoor/outdoor environments and lighting. 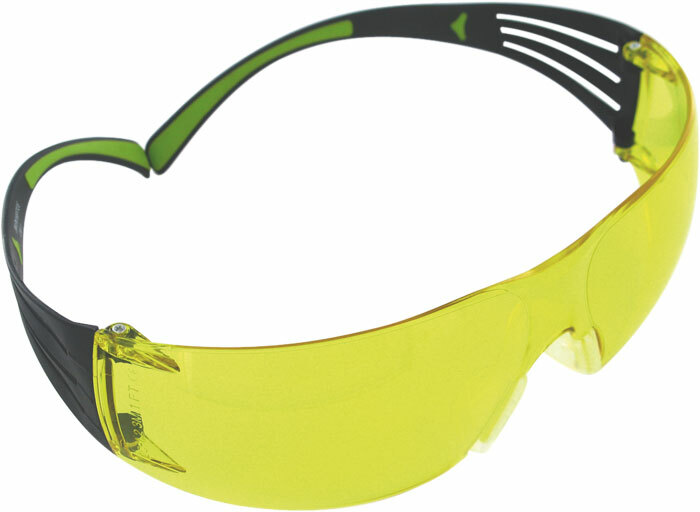 Its low-profile, flexible temples are ideal for use with hearing protection. The contemporary, lightweight, wraparound lens design provides excellent coverage and good field of vision. They provide 99.9 percent UV protection and are polycarbonate with anti-fog coating. They have an ANSI rating of Z87.1-2010. The temple ear pieces are black with green accent. his model has an amber lens which helps brighten up overcast days.